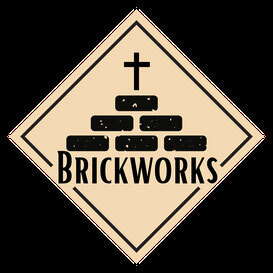 Why should I come to Brickworks church? "Yeah, and what about me? I've lived in the area all my life but I haven't been to church for years." “Let’s start with loving Jesus. The first thing you need to do if you want to show someone you love them is... listen to them. So we’re a church that takes seriously what Jesus said – in fact all of what God has said – in the Bible. We let the Bible shape what we do as a church. We expect God’s Word to speak into our lives, we’re not surprised when we find God putting his finger on things that need to change. “Not at all. When Jesus was on earth, he got involved in people’s real lives, not just their religion. You find him down by the fishing boats, in the market square, out in the fields, at parties and weddings. The only times he went into religious places was to disrupt them. So we want to be a church that’s about real life, not religion. One of the big areas of real life it impacts is our relationships, our friendships, with each other. For the moment, at least, Brickworks is a small church. That means that we can really get to know each other properly. We eat together regularly as a church – on Sunday lunchtimes and Wednesday evenings at present. We can be there for each other through the highs and lows of life. Issues with elderly parents, new babies, job changes, injuries – they’ve all been part of our experience even in these first few months. “Well, we hope you will be looked after, but we’re certainly not inward-looking. We mean it when we say we’re here for this community. Community events have been defining moments for us as a church – things like the pancake party, Easter egg hunt, summer games and Korean night. But we also get involved week by week – in the school, through social activities at the Sunshine Club for young and older people, by getting to know the local police, and simply being out and about as much as we can.